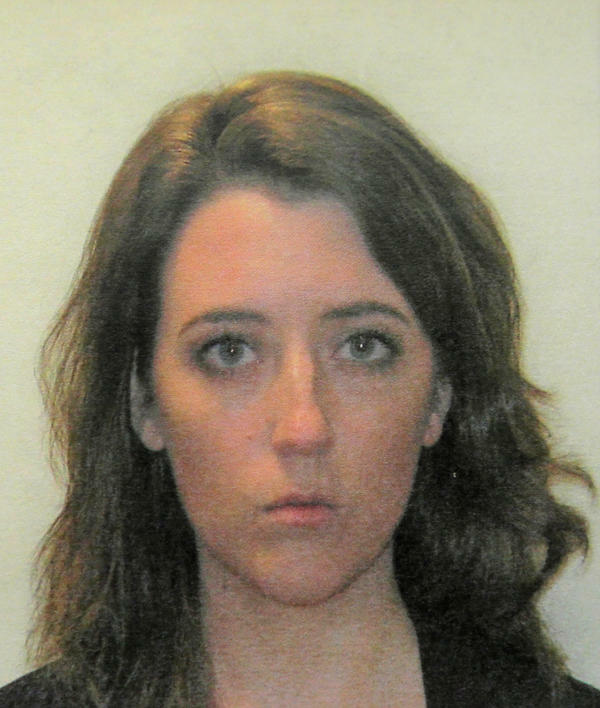 Katelyn McClure pleaded guilty Monday in state court to theft by deception in connection with a fraudulent GoFundMe story about a homeless man buying her gas. The plea comes with a four-year term in New Jersey state prison, prosecutors say. A New Jersey woman pleaded guilty Monday to theft by deception for perpetrating what began as a story of redemption that was revealed to be a ruse. Katelyn McClure appeared in New Jersey Superior Court, admitting to her role in duping thousands of people out of $400,000 through a fictionalized GoFundMe page purporting to benefit a homeless veteran said to have bought her gas. McClure, 29, will serve a four-year-term in a New Jersey state prison under the plea, according to the Burlington County Prosecutor's Office. Sentencing is set for June 3. In March, McClure pleaded guilty to one count of conspiracy to commit wire fraud, which carries a maximum penalty of 20 years in prison and a $250,000 fine. Federal sentencing is scheduled for June 19. The homeless man, Johnny Bobbitt, 36, also pleaded guilty in federal court to one count of conspiracy to commit money laundering, which comes with a maximum 10 years in prison and a fine of $250,000. He has not yet been sentenced. Bobbitt was admitted last week into a drug treatment program, which could help him avoid prison time. "However," the Burlington County Prosecutor's Office said in a statement, "if Bobbitt fails to adhere to the tightly-structured regimen of treatment and recovery services, which includes frequent testing for drug use, he could be sentenced to five years in state prison." A third person, Mark D'Amico, McClure's then-boyfriend, is also charged with theft by deception. His case is set to be presented next month to a Burlington County grand jury for possible indictment. McClure's lawyer has said D'Amico was the driving force behind the scheme, and prosecutors say that McClure and Bobbitt have agreed to testify against him. In November 2017, McClure and D'Amico created a GoFundMe Page titled "Paying It Forward." It said McClure was driving home from Philadelphia on Interstate 95 when she ran out of gas when Bobbitt, a homeless veteran, came to her rescue, spending his last $20 to buy her gas. With a photo of the duo standing by the road, the page solicited donations to help get Bobbitt off the street, with the goal of raising $10,000. The money came pouring in after the media picked up on the story. Fourteen thousand people donated $400,000 in less than three weeks, according to prosecutors, none the wiser to the fact that McClure had never run out of gas and Bobbitt never spent $20 to help her. But D'Amico and McClure were quick to spend the money on themselves, prosecutors say, blowing through the bulk of the $400,000 on gambling, a helicopter ride over the Grand Canyon, a BMW, clothing and Louis Vuitton handbags. But the cover soon began to fall apart. In December of 2017, the then-couple deposited $25,000 in a bank account they set up for Bobbitt, according to authorities. When Bobbitt realized most of the money had been squandered, he sued them. "After scouring more than 67,000 texts on the couple's phones, officials discovered a text exchange between McClure and a friend written less than an hour after the GoFundMe page went live that appears to confirm it was all a hoax.
" 'Ok, so wait. The gas part is completely made up but the guy isn't,' McClure allegedly texted. 'I had to make something up to make people feel bad. So shush about the made up stuff.' "
Burlington County Prosecutor Scott Coffina said that McClure and Bobbitt had known each other for at least a month before setting up the fundraising page. Coffina noted that Bobbitt had previously posted a tale of a stranded woman with an empty gas tank to whom he gave the last of his money in 2012. "I don't think that's a coincidence," he said. But federal prosecutors allege it was McClure and D'Amico who concocted the story and only informed Bobbitt about it after donations started pouring in. In December, GoFundMe announced it was refunding donors who had contributed to the campaign.